Croatian beauty Faretta must be on a mission to dominate newsstands worldwide. In the past two months, she’s scored covers for Vogue Japan and Vogue Russia. 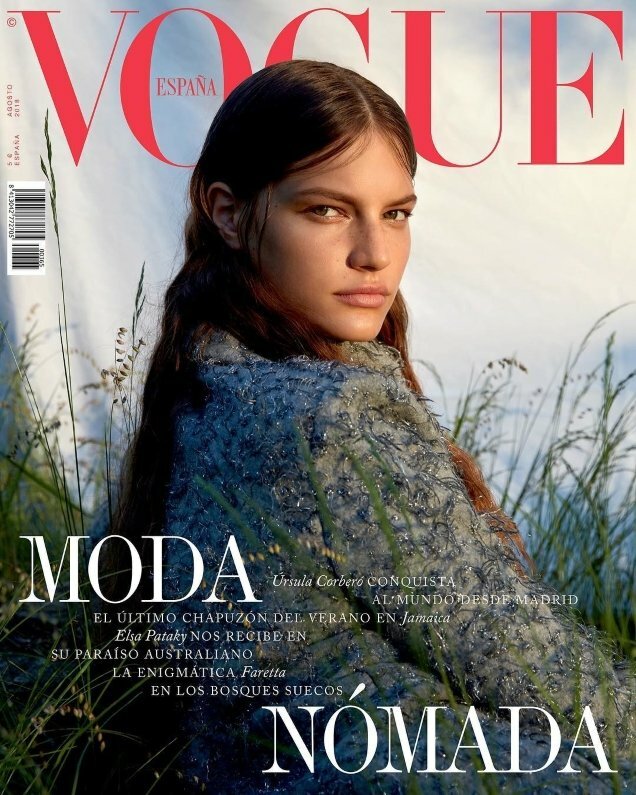 Now Faretta adds the cover of Vogue Spain to her impressive body of work. The polar opposite of her ultra glam Russian Vogue shoot, the current face of Blumarine does nomad chic this time around. Photographed by Camilla Akrans and styled by Cathy Kasterine, Faretta wears a Chanel tweed jacket as she stares over her shoulder in the beautiful and serene cover image. But were our forum members into it? “Yess…Miss Faretta Radic out here collecting Vogue covers like it’s nothing this year. Sensational stuff really…very very happy for her. Amazing cover,” proclaimed Scouting Snapper. “I like it! She looks very soft and relaxed. It’s nice to see her without her signature pouty face,” credited GivenchyHomme. “So effortless and romantic. Faretta has that timeless, silver screen face that’s pure cinematic heroine,” declared Phuel. “First time ever I liked her picture. Stunning,” confessed Vitamine W.
“What a beautiful cover, Faretta looks stunning,” Lausanne chimed in. “After her tacky Vogue Russia cover (where she looked like she had a lazy eye) this is kind of amazing, first time I get her appeal,” admitted YohjiAddict. Do you agree? Check out Faretta’s accompanying cover story and add your own two cents here.